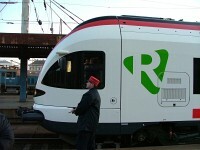 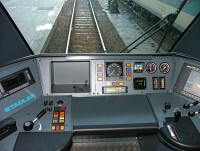 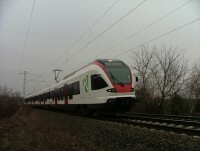 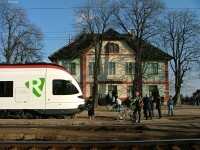 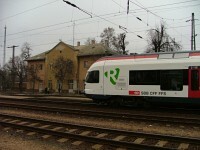 After Stadler won the tender to build 30+30 regional EMUs for MÁV they sent a train built for SBB to use on a Swiss S-Bahn network to Hungary. 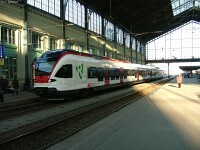 The train spent about a week here visiting most of the stations where the first thirty units will primarily work. 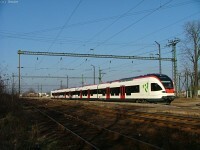 This unit ( 521 011-7 ) was the first FLIRT to be able to run under 25 kV 50 Hz AC catenary, but setting it to this system was not difficult: FLIRT was originally designed to be a flexible platform, so it virtually was nothing more than a software upgrade. 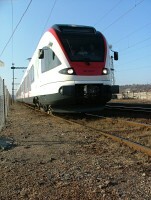 As the train stood at stations much more than ran, taking photos of it on the open line was difficult, as it needed a car and precise planning. 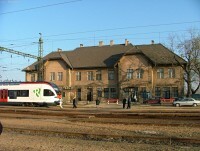 The stations however provided nice background to photographing.